When this Red-tailed hawk launched off the post I had been watching him on for a few minutes, I was really impressed by the power and balance displayed. 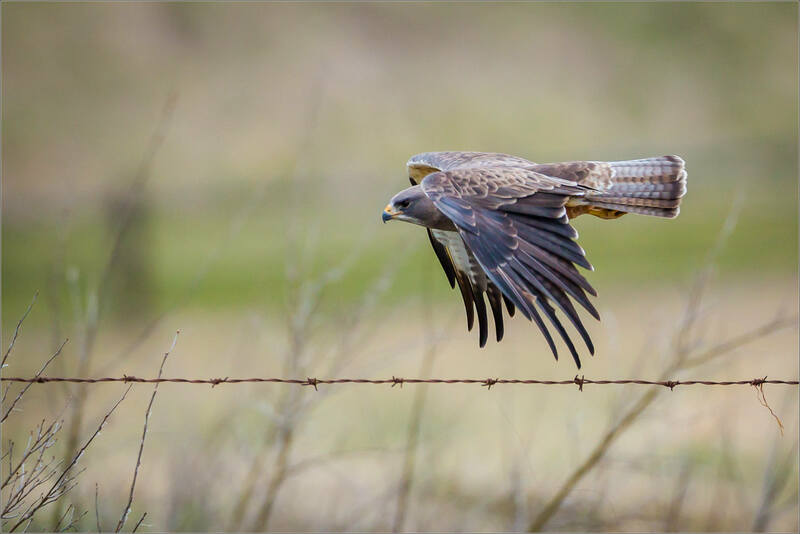 He flew closer and then went to the ground after circling back towards the fenceline. Unfortunately, it wasn’t an attacking dive only an uninspired landing in the tall grass. This entry was posted on May 17, 2014 by Christopher Martin. 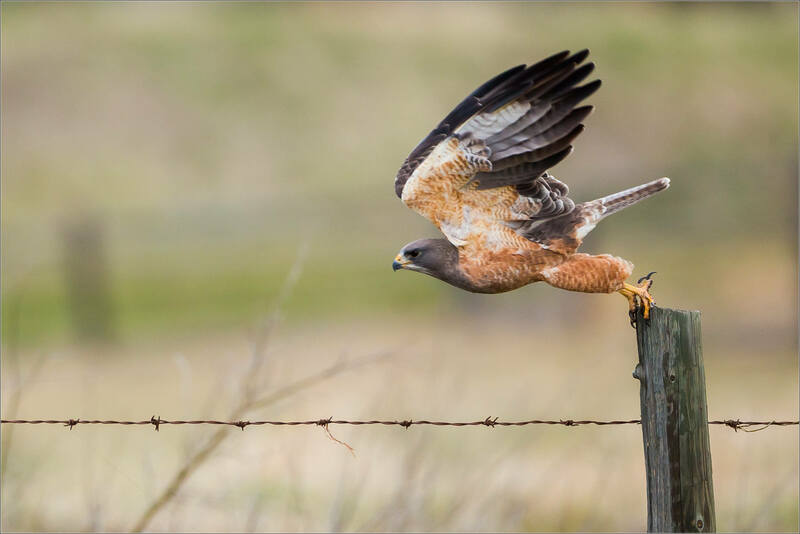 It was filed under Animals, Birds, Hawks, Wildlife and was tagged with alberta, bird, bird in flight, Canada, flight, nature, raptor, Red-tailed hawk, wildlife. Love that you captured the launch point! Thanks – I’m glad you are enjoying the recent images I have put up. Great detail! The extension reminds me of my last aerobics instructor. Beautiful. I love those hawks.